ZNS Series M.C Pressure Screen is international advanced paper pulp screening equipment. It is used for wood/straw pulp hot screening and chemical and waste paper pulp coarse screening or fine screening. Screen Basket is a significant component of ZNS Series M.C Pressure Screen. It is made of stainless steel. It adopts electrochemical polishing and hard chromium plating,with highly polished surface and strong abrasive resistant. There is reinforcing ring outside screen basket. The whole basket is fixed on barrel with bolt. Its bottom is matched with flange. 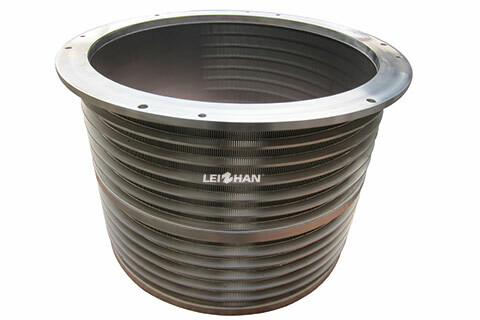 Its top part is with round shape weir plate, which forms collecting tank along with cylinder wall. Our company adopts advanced technique and researches and designs this new type pulp mid consistency screening equipment. Compared with other pressure screen, ZNS Series M.C Pressure Screen has the advantages of better adaptation, energy-saving &water-saving, high efficiency, etc.